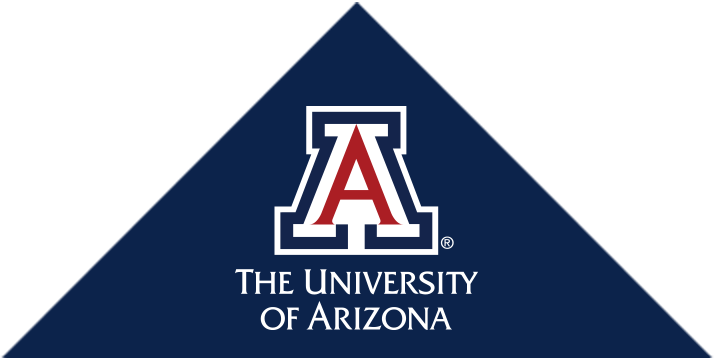 The Section of Orthopaedic Surgery was established on July 1, 1971, two months before the opening of the University Medical Center Hospital on the University of Arizona Health Sciences Center Campus on September 1. The first Section Chief was Leonard F. Peltier, MD, PhD , who had come from the University of Kansas Medical Center in Kansas City where he had headed the Section of Orthopaedic Surgery at that institution since January 1, 1957. He was accompanied by Donald Speer, MD , an orthopaedic resident at Kansas who required one additional year of residency. Together they founded the orthopaedic service at the University Medical Center Hospital, integrating with the orthopaedic service of the Tucson Veterans Hospital run by Dr. Stanley Tanz and Dr. Jacob Redekop. By June of 1972, the Residency Review Committee had approved the residency program, allowing one resident in each of a four year rotation. This was made possible by an agreement with the Arizona Crippled Children's Hospital in Phoenix to provide a rotation for training in children's orthopaedics. On June 21, 1973 the Accreditation Council for Graduate Medical Education granted full approval for the residency program, which consisted of rotations at the University of Arizona Hospital, Tucson Veterans Administration Hospital and the Arizona Crippled Children's Hospital. Several years later a rotation was begun at Kino Community Hospital . This was discontinued after a few years. The continued growth and expansion of the program necessitated continuous recruitment. The second person to join the full time faculty was Dr. Speer, who, having finished his residency, spent an additional year of training in pediatric orthopaedics at the Children's Hospital in Chicago . Robert G. Volz, MD, a former resident of Dr. Peltier's at the University of Kansas, was recruited to begin a program in total joint surgery. Robert B. Dzioba, MD came from Toronto to lend his support to the area of spine surgery. The Veterans Administration Hospital staff was augmented by the recruitment of Frederick W. Greenwood, MD of Montreal and the transfer of Warren Eddy, MD from Kino Community Hospital. James B. Benjamin, MD stayed on after completing his residency to help Dr. Volz with the total joint program. This group composed the core of the faculty of the Section of Orthopedic Surgery at the time of Dr. Peltier's retirement as Section Chief in June 1985. For a period from 1989 - 1993 the section had expanded its outpatient capabilities to a satellite clinic, which greatly improved the quality of care for patients. The clinic was housed in UMC, until it was relocated to Alvernon Way during the fall of 1999 which greatly diminished the problems of space and patient access. The department focused on specialized training in joint replacement surgery and trauma by the 1993 - 94 fiscal year, the section was performing 1562 operative cases and had 16,844 outpatient visits. During 1994 - 95 outpatients again equaled 16,800. In 1999 the Arizona board of Regents created a new Department of Orthopaedic Surgery and a national search was performed for a Professor and Head. During the interim Dr. John Ruth, the Residency Program Director, served as Head of the Department. 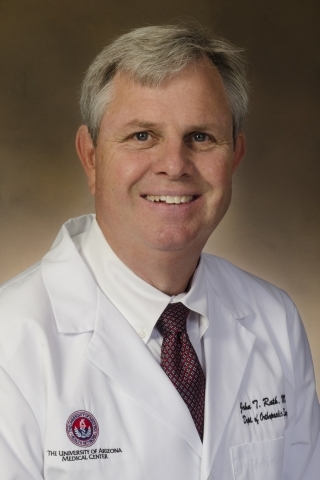 In May 2000 Dr. William A. Grana came from the University of Oklahoma and a private practice background to join the department and attempt to create a comprehensive Department of Orthopaedic Surgery. Currently there are 10 full time faculty with sufficient representation from the community in Tucson, Phoenix and the Shriner's facility in Salt Lake City to provide the in depth comprehensive program the Chair has wanted. In addition, the focus of the department has shifted from implant design and biomechanics to a biologic approach to the care of musculoskeletal problems. Finally, Dr. Grana was able to justify the addition of a third resident to the program beginning in 2001 and to have the program receive a full 3 year accreditation. The success of the residency program is characterized by the completion rate on the ABOS examination and the OITE scores. In the spring of 2007 the Department opened the Arizona Institute of Sports Medicine to provide a multidisciplinary approach to sports injury care in Southern Arizona. Also, in July 2007, Dr. Grana stepped down as Department Head and Dr. John Ruth was appointed Head of the Department by the College of Medicine Dean Keith Joiner, MD, MPH. Currently the Department performs approximately 285 operative cases per month and sees approximately 1600 patient clinic visits per month. The 5 - year plan for the department includes the addition of 5-6 faculty members to provide more comprehensive coverage of subspecialty education in orthopaedic surgery. The department will always maintain its commitment to community relationships and outreach. 2007 - Present John T. Ruth, M. D.
2000 - 2007 William A. Grana, M.D., M.P.H. 1997 - 1999 Acting Chief, John T. Ruth, M.D. 1994 - 1997 James B. Benjamin, M.D. 1992 - 1993 Robert B. Dzioba, M.D. 1985 - 1992 Robert G. Volz, M.D. 1971 - 1985 Leonard F. Peltier, M.D., Ph.D.